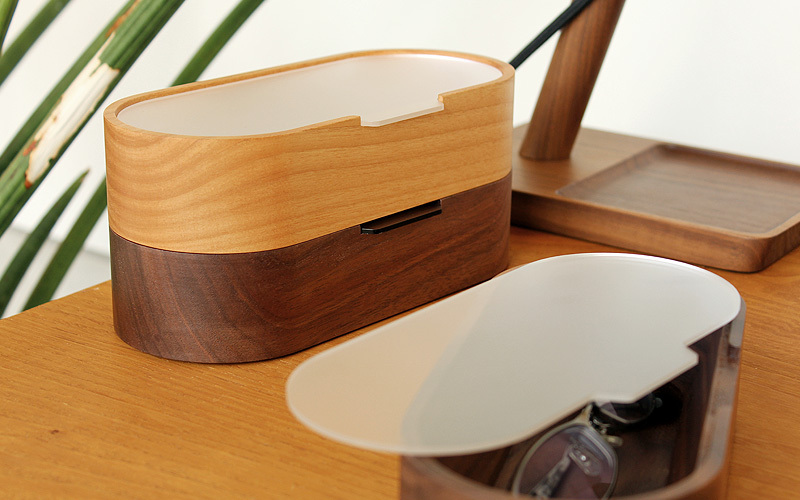 Enjoy your collection in this wooden case. 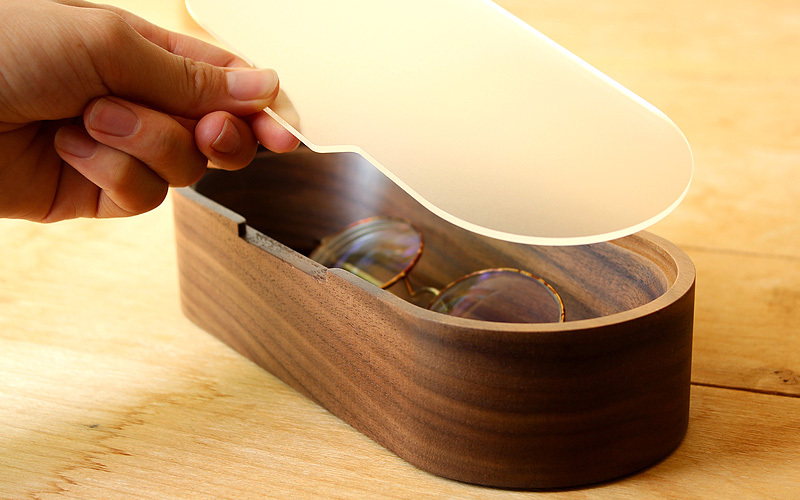 This collection case for eyeglasses not only protects lenses preventing dusk accumulated but also provides a space saving storage. It can help keeping your desk or your wardrobe organized. 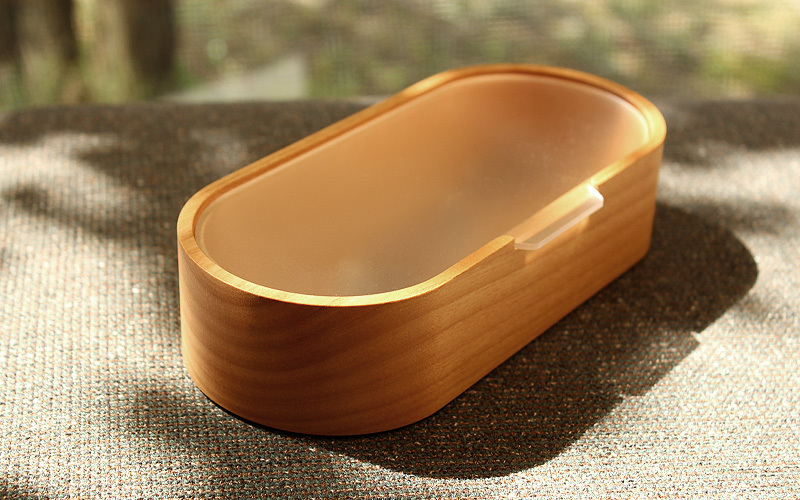 Its semitransparent lid is shaped like an index tab for easy lifting and lets you see through what is inside.